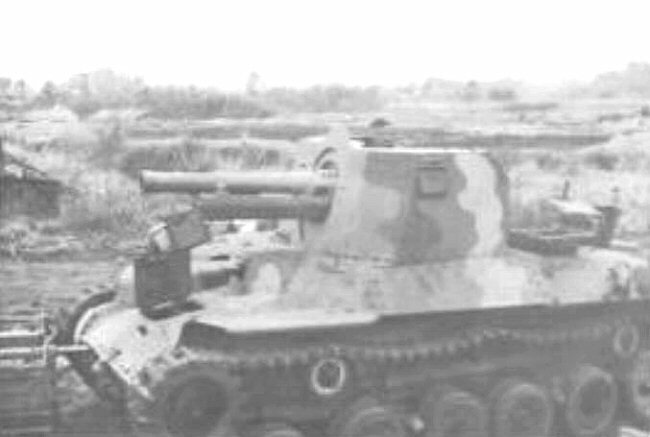 The Ho-Ni II was an improvement of the previous Ho-Ni I, which was armed with a 75 mm (2.95 in) gun. It was designed to carry out close infantry support using its more powerful howitzer, also being able to provide indirect fire. The Army Type 91 105 mm (4.13 in) howitzer was chosen for the task. Work started in 1942, as soon as the Ho-Ni I neared production. However, the lack of resources meant that it was built discontinuously in small numbers, from 1943 until 1945, when the resources and manpower were no longer available. The Type 1 designation is related to the year 1941, and Ho-Ni II meant “gun fourth, 2”. The No-Ni II was largely based on the Ho-Ni I, and used the same Type 97 Chi-Ha chassis, then the standard IJA medium tank. The three-faced shield was essentially the same in shape and dimensions, only differing in details. Some corrections were made because of stability issues with the much heavier howitzer. The latter was left without undercarriage, bolted and welded over a new support. The ammo racks, containing bulky HE two-part rounds, were stored inside the hull, below the gun. Two racks were located inside the shield, holding a few shots. The gun had 20° traverse and -5° to +20° elevation/depression. Protection for the gun crew was poor. However, the indirect nature of the fire support they provided meant they were usually posted far from turmoil, at the rear, and well camouflaged. 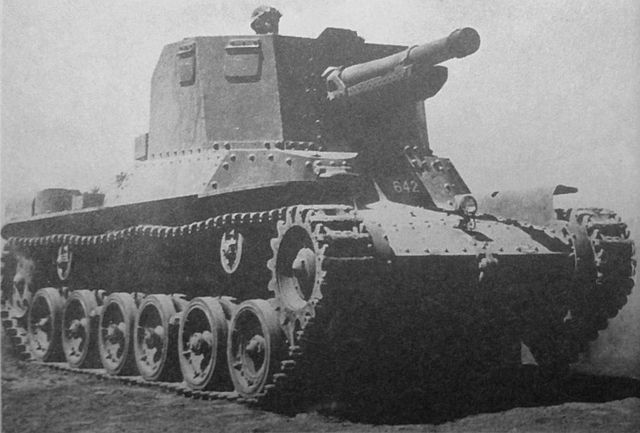 The Ho-Ni II production dragged on from 1943 and into early 1944, before the Ho-Ni III replaced it. It was also no longer the sole self-propelled howitzer in service with the Imperial Japanese Army. In early 1945, the Type 4 Ho-Ro, armed with a 150 mm (5.9 in) short barrel howitzer, was also rushed into service. Both replaced regular horse-drawn or truck-towed artillery units, following the infantry, in order to provide close support. They were integrated into regular artillery units, each having a four vehicle battery. They served as infantry support in Burma and the Philippines, all along the year 1944 and 1945. None survived to this day. Burma, mid 1944. The four-tone pattern was adapted to jungle warfare. The Philippines, fall 1944, with a simplified three tone blended camouflage. Notice the hinomaru, used as this artillery platoon’s symbol. 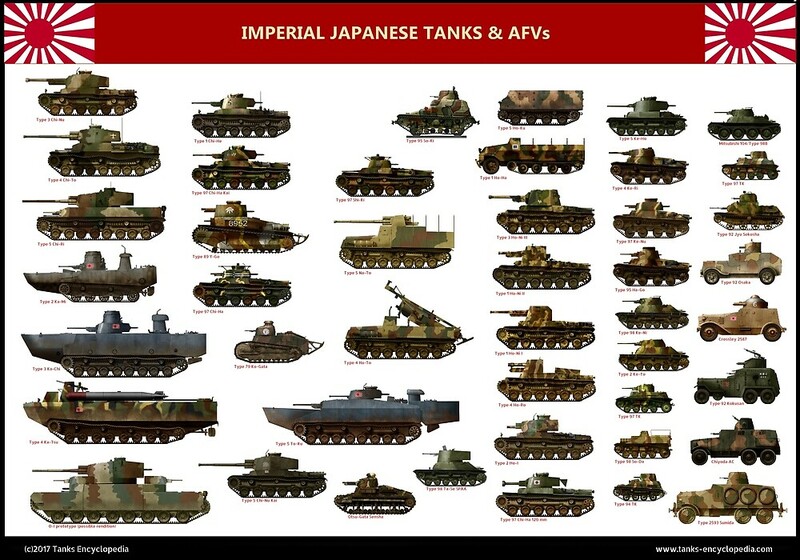 Does the Ho-ni 2 have a fixed superstructure or a turret? Its a fixed superstructure but its not fully enclosed, the rear side is not covered by armour. Hello, Is There Any Written Document / Photo’s / Blueprints On How The Crew Would Be Placed In The Ho-Ni I?